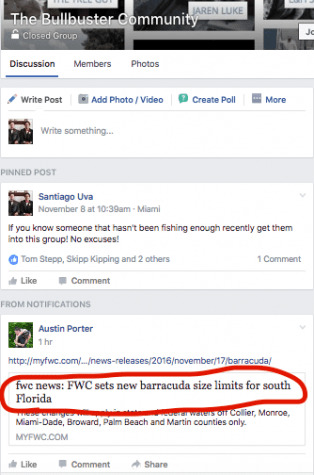 Fishing Report: New Barracuda Slot Size - You Heard It Here First! New Barracuda Slot Size - You Heard It Here First! #Bullbuster Ambassador Big Bully Outdoors with some cudas that they may have had to release if the slot size had been implemented at the time they caught these. For all of you out there looking for shark bait! Make sure you know the new regs! There is now a slot size on Barracuda. This reg was first found by #BullbusterAmbassador Cpt. Austin Porter who posted a link to it in the Bullbuster Community Facebook Group. Join the Bullbuster Community Facebook Group to be in the know!